You may remember that a few weeks ago, I headed into London to have dinner cooked by Kimberley Wyatt. 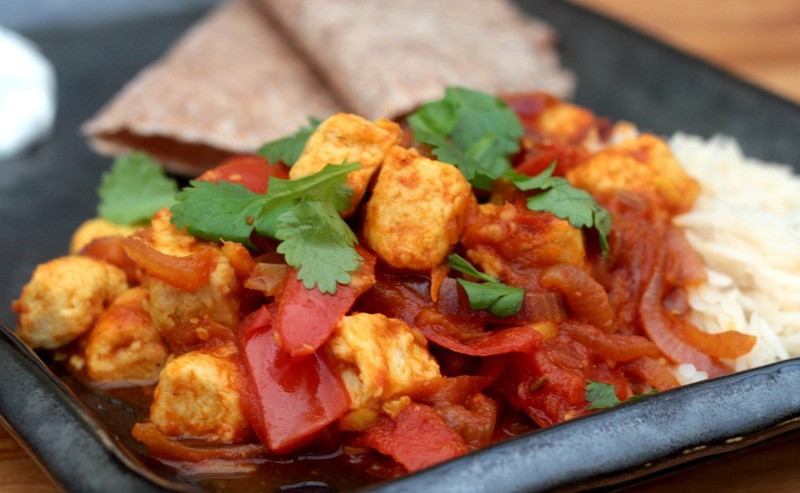 As the new ambassador for Quorn, she cooked up some fantastic and flavorsome dishes. I am still in amazement that my boys all gobbled up her Quorn Tacos. It seemed common consensus from the others at the event that the dish everyone liked most was the Quorn curry. OK, whilst this may not be one for my boys yet, I often cook a curry with more of a punch for me and my husband on a weekend. Quorn have just released some research revealing that 70% of British adults claim to have revamped their typical weekly diet to become healthier. The research showed that health gains and well-being were being prioritised over weight loss with 64% of those polled citing it as their main reason for dietary change. Infact I felt put to shame with the results that 83% of British families have a meat free meal once a week. Hopefully trying out some more recipes with Quorn will help me achieve meatfree meals more often. I have to confess that before the event I had no idea how easy chapatis were to make. These will be a new addition to my Friday night curries from now on. I am happy to say that my husband enjoyed the curry and once again it will be a dish that I come back to, to make again and again. 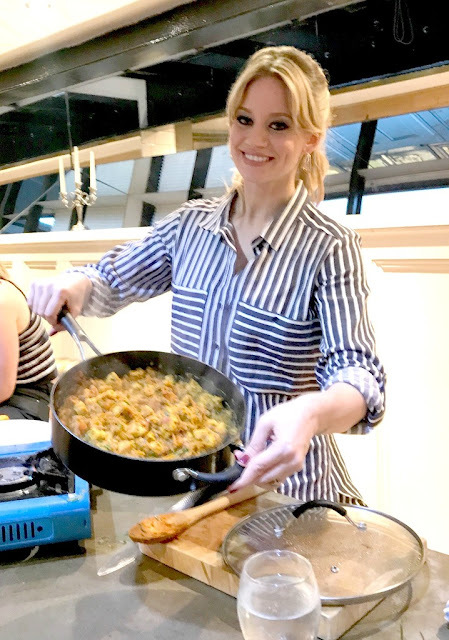 One of Kimberley's top tips for making a curry was to cook the onions nice and slowly. Add the tomatoes, tomato puree and a splash of water (I used 50ml) to the pan and stir to combine. Cover and cook for 20 minutes until the tomatoes have broken down, adding more water as necessary. Meanwhile, make the chapatti dough. Add the flour and salt to a large mixing bowl. Combine the water and coconut oil and add to the flour. Mix to form a soft dough. Tip out onto a floured surface and knead until smooth. Divide into six balls and roll each one out into a thin circle. I found that this worked well using a plastic board and rolling pin that I would usually use for rolling out ising in cake decorating. Put to one side while you add the fresh Quorn Pieces to the sauce and continue to cook the curry for 8 minutes. Preheat a frying pan until hot then cook the chapatis one at a time, cooking for 2 minutes on each side. Keep warm in a clean tea towel or between kitchen towel until ready to serve. Serve with rice and the chapatis taste even better with some melted butter on. What is your favourite curry recipe. Are there any other sides that are easy to make that I should know about? This looks like a lovely simple recipe. I'm a big fan of cauliflower or dhal on the side of my curries!